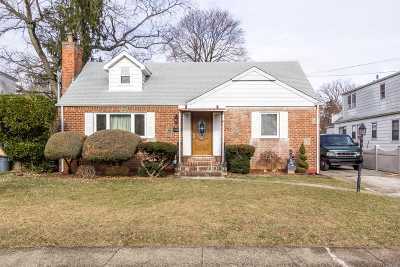 Excellent 1 Family Cape 4 Bedrooms 2 Baths 60 X 100 Lot Private Driveway 1 Car Garage, Update Roof, Kitchen, Baths, Hw Heater. Central Air, Underground Sprinkler, Fireplace, Semi Finished Basement With High Ceilings, Steel Beam, Private Backyard, With Patio And A Pond. Close To Lirr Stop. Floor Plan Level2: 2 Bedrooms - Bath.